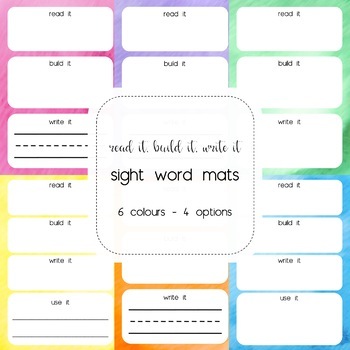 These mats can be used as an independent literacy group activity for your students to practise their sight words. 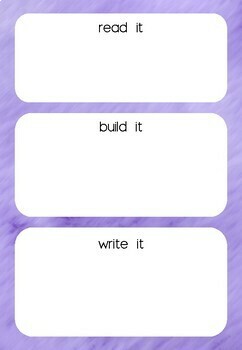 There are 6 colours included in the file (green, yellow, orange, pink, purple and blue), with two options for each colour (with or without the handwriting lines). 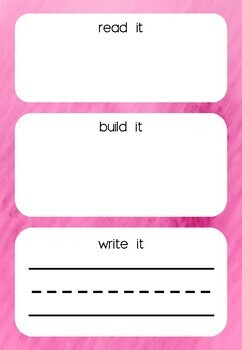 Pair them with flashcards or simply laminate and write the words you want your students to learn.